I’m not a big fan of horror stories but I trusted Grant Leishman enough to bring some class to the supernatural / horror / mystery novel, and he did. The story begins with the rise and fall of photographer Tony Logan. His business during the old days of photography and his failure to catch up with the technological advancements in the field. His wife also leaves him as the business is going under. Just as he has hit rock bottom he finds a role of film from his mother’s funeral in 1970. He hadn’t dared to develop, since he feared it might open up old wounds. Up to this point the main character has already a lot of depth and we identify with him deeply. There is a sense of impending doom prevailing through this first part of the novel. Then the horror really takes off when Tony looks at the background of one of the pictures he took in 1970. I almost had to put the book down at that point, not sure if I could read on. The formerly so gentle and gradually building tension now is much more prominent from then on. As Tony and his siblings try to investigate the supernatural mystery they find much more than they had bargained for. I think there is potential for a series from here on. If you like gret suspense then you will definitely love this. It isn’t dreadfully scary throughout, just right and for me, an occasional visitor to the genre, it has definitely something of a Stephen King feel to it. Just with more character depth. I would definitely recommend this to fans of the genre. I am an expatriate New Zealander, living in Manila, The Philippines, with my wife and two step-daughters. At age 55, after careers in Finance and Journalism, I have finally discovered my true passion in life – writing and I’m now “living the dream”, writing full-time. My first novel was a romantic, fantasy, adventure about the return of Jesus Christ to modern day Manila to try and sort out the problems of the world – yet again! “The Second Coming”, which was published by Pentian in June 2015. My second novel “Just a Drop in the Ocean”, a romance that spans a generation and two continents, is completed and was published in October 2015. The sequel to “The Second Coming” – “Rise of the AntiChrist” is completed and will be published in December 2015. The final novel in The Coming Series – “Holy War” is around 15% complete and will be published in March or April 2016. 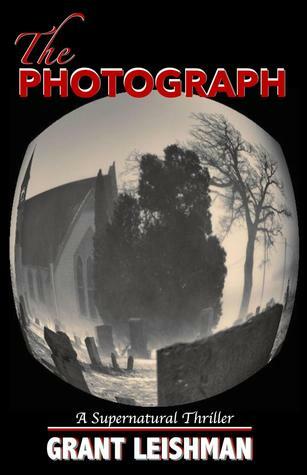 Thank you to Christoph Fischer for this amazing review of my book The Photograph. You have made my day Christoph. Thank you so very much for this wonderful review, Christoph. When reviews come from an author such as yourself, who I have the utmost respect for and who’s writing I am in awe of, it means so very much. Humbled and grateful, this morning.